(From our Wikipedia page, because they are much smarter than we are) WRIL (106.3 FM) is a radio station broadcasting a mixed Top 40 music format to Southeast Kentucky, parts of Southwest Virginia as well as Uppereast Tennessee. The city of license is Pineville, Kentucky but our signal covers 8 counties. The station was put on the air by Bell County resident John McPherson and even though John was blind, he was a masterful radio person, being able to fix any problem that the station may have. The station went on the air as WTJM in the early 70's. In the 80's the call letters were changed to WZKO. On November 1, 1993 the station changed its call sign to the current WRIL. 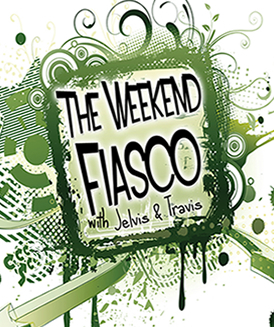 The station adopted a format called Real-Country which matched its new call letters. At one time WRIL was one of the most powerful stations in the Southeast KY area. Although only having around 1000 watts, the station's antenna was on top of the mountain overlooking Pineville (one of the tallest in the Tri-state), which allowed its signal to reach out into many counties. The live format is underway with Brian O'Brien and News Director Larry Posner. O'Brien is broadcasting a morning show with news, weather, and sports including celebrity interviews. Check out our programs and sports page for more info. The moniker is "The Big One 106.3 FM". 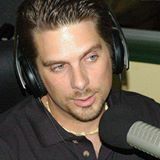 Monday through Friday 6 - 9 am Brian gives you news, weather, sports, celebrity interviews, an encouraging word, and so much more, especially FUN! AND we give away free stuff! 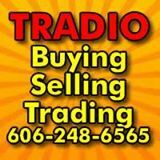 Buying, selling, trading, hiding, snowboarding, clam bakes, community events, yard sales, garage sales, and SO MUCH MORE! Just...no guns please and if you have a business license, we'll set you up with an ad package! A BIG shout out to a great listener, Lisa Howard! We have absolutely the best "bang for your buck" with spots and ad campaigns that draw people to your business. Plus, we work WITH our clients to provide free production for maximum results. We can tailor your campaign to your budget so that it's never a "one-shot" deal. Studies have found that repetitive advertising gets better foot traffic to your products and businesses. We NEVER charge extra for live mentions. Our belief is that if you have taken the time to advertise with us we take the time to make sure you have been given as much help as possible. We can also provide you with testimonials from our current advertisers so that you know your money is well-spent.